This is sooo important! 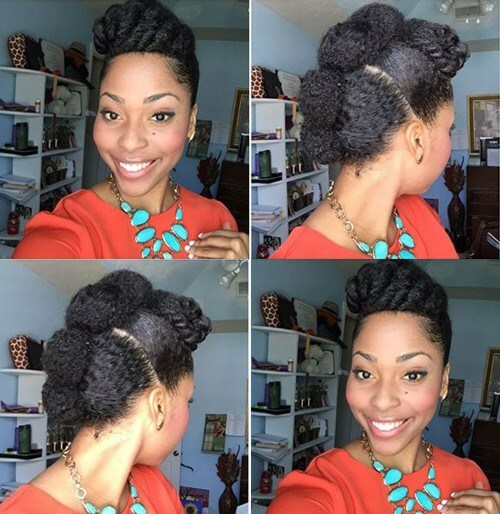 If you have a lot of shrinkage, your hairstyle is very likely to look flat and not have the volume if you do not style on stretched hair. Although I have lots of strands on my head “full hair” my individual strands themselves are thin, which also means less volume. Luckily you can fake volume by creating more sections if you are doing an updo. For example, if a person with more thick strands does a style that calls for four sections, try six if you want the appearance of more volume. 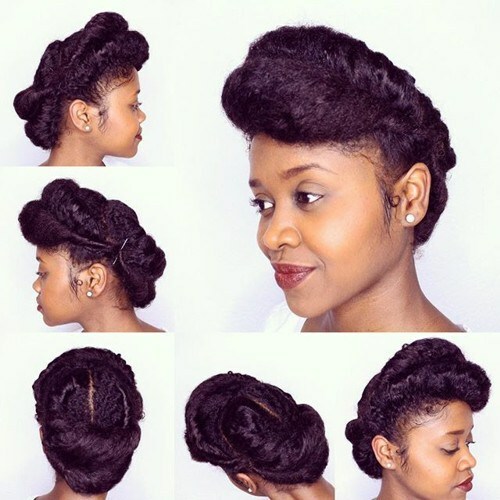 Again if you really enjoy hair with a lot of volume, marley or braiding hair can create the fullness that you are looking for. Use it to enhance your bun or to create elegant crown braids. A bomb accessory could be all you need to glam it up. It really makes a difference! 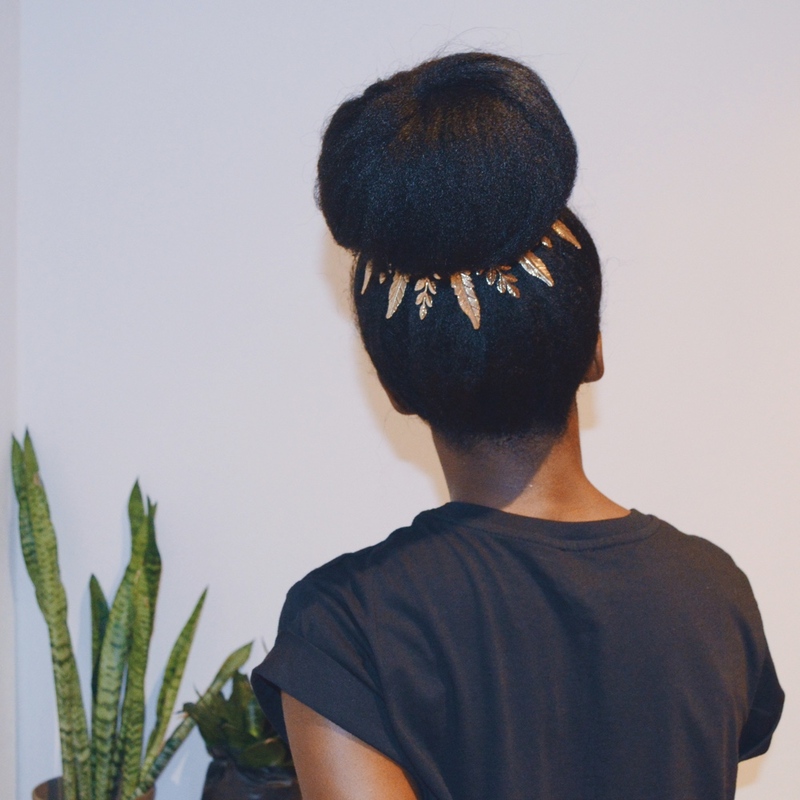 From headwraps to hair jewelry there are a lot of ways to give your look something extra. 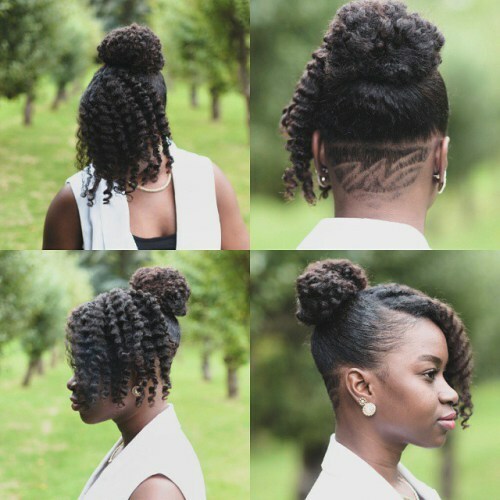 It won’t be considered a complete protective style, but it will still for the most part accomplish your end goals. 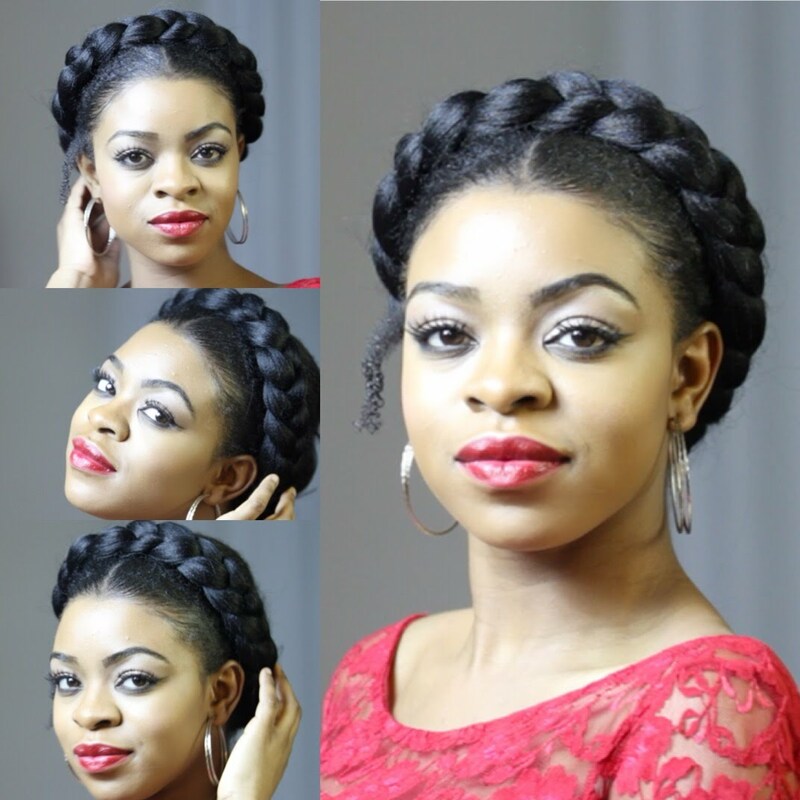 Instead of doing a bun or tuck in roll style with all of your hair pulled back try leaving out a bang area.